There was quite a change from installing Remote Desktop Services (aka Terminal Services) with the introduction of Windows 2012. 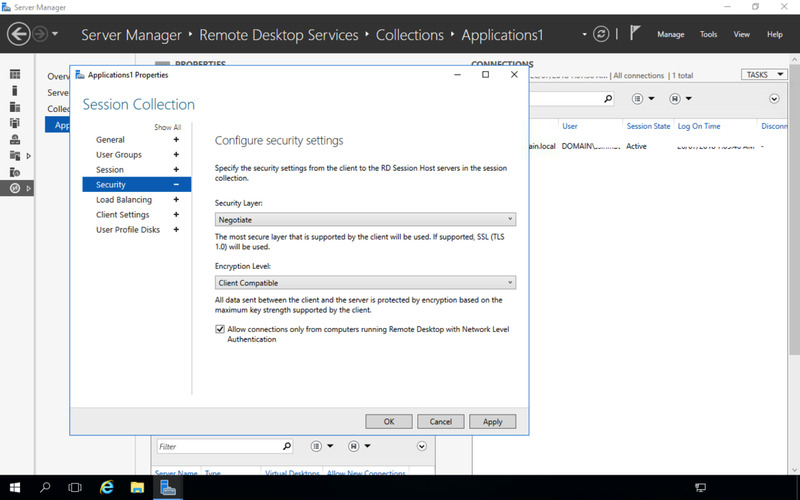 It was confusing, and when you install the Remote Desktop Services host server, there was no longer the familiar Remote Desktop Manager, and you could either work through the settings in the registry directly or bring over the remote desktop manager snap-in from Windows 2008R2. 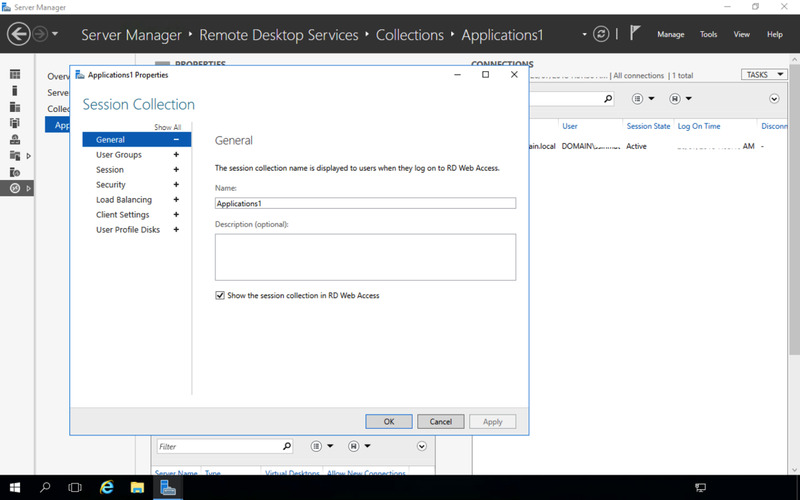 However, that wasn't quite the right way to install Remote Desktop Services on Windows 2012 and later. 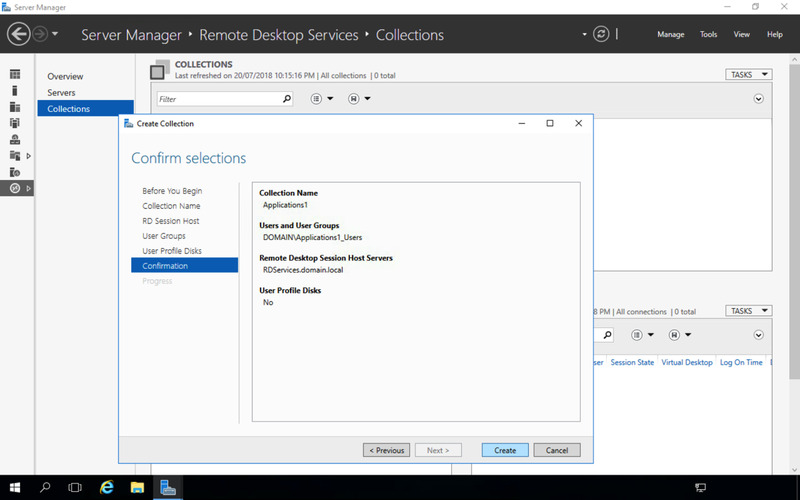 This tutorial will show how to install Remote Desktop Services in Windows Server 2016, but it can be applied to Windows 2012 or Windows 2012R2. 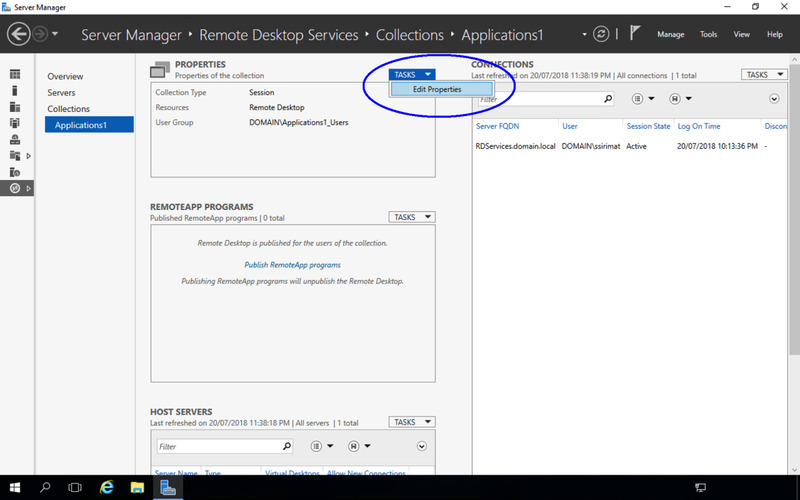 This tutorial assumes that there are no Windows 2012 or later version of Remote Desktop Services installation in the Windows domain. 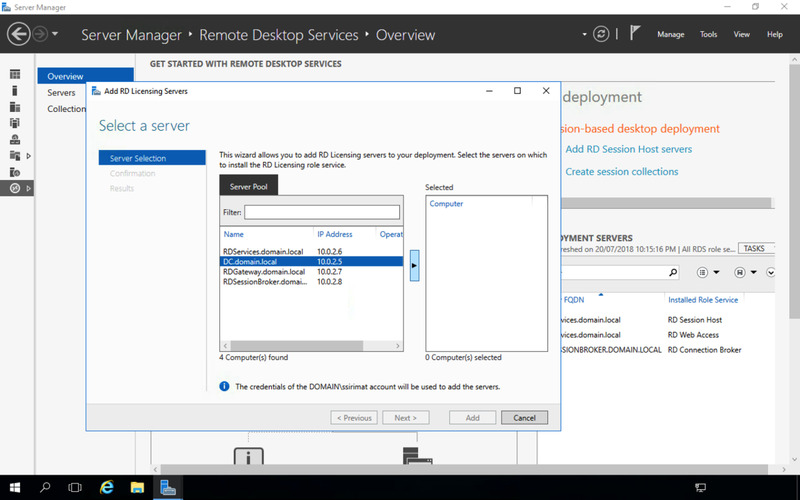 The following is a list of steps required to setup Remote Desktop Services. It is more of a checklist. Pre-installation steps. This is where you determine which servers will hold the RD Session Host Server, RD Connection Broker, RD Web Access server, RD Licensing Manager, and Remote Desktop Gateway roles. We will be installing these roles across multiple servers instead of installing all these roles onto one server. If you only have one server to test on, you can install all the roles on the one server. 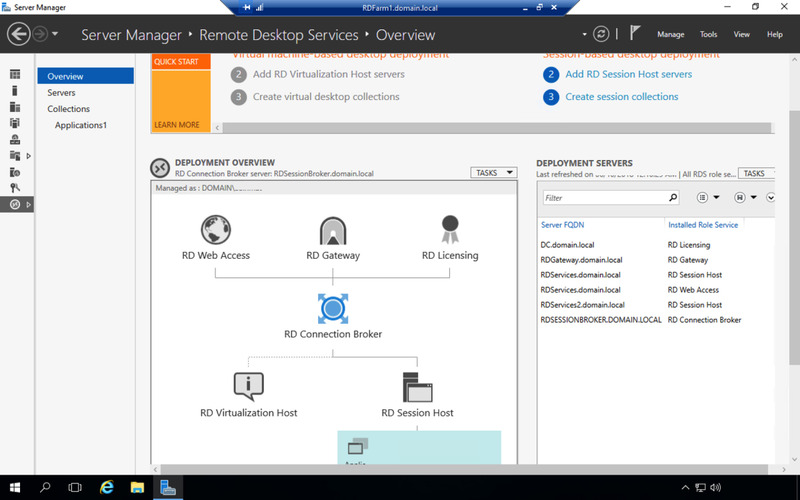 However, for the purpose of trying to understand Remote Desktop Services better, we will install it across multiple servers. 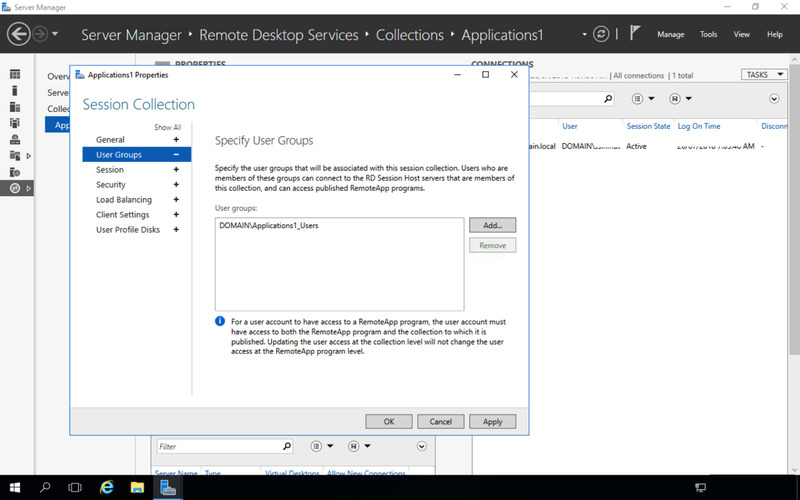 RDGateway - this will have the Remote Desktop Gateway role, however, we won't install it in this tutorial. 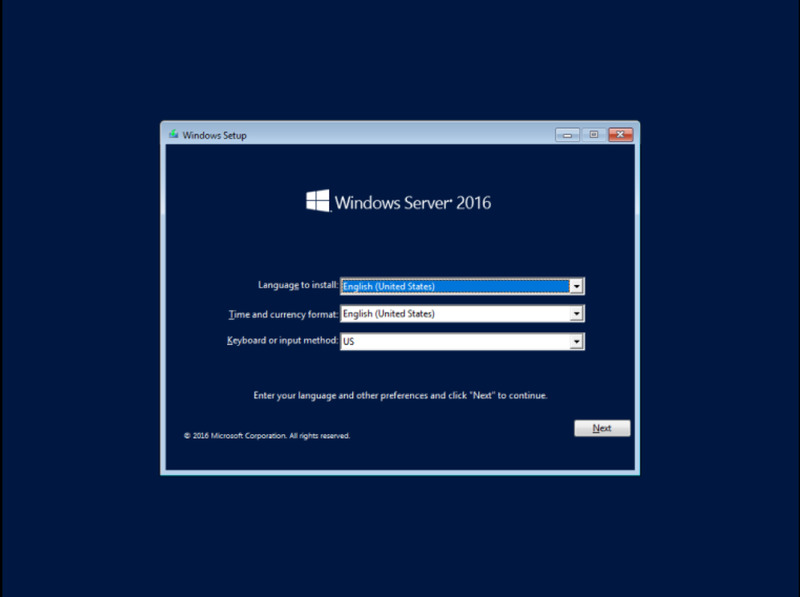 Here is a link to an article on how to install Remote Desktop Gateway for Windows Server 2016. 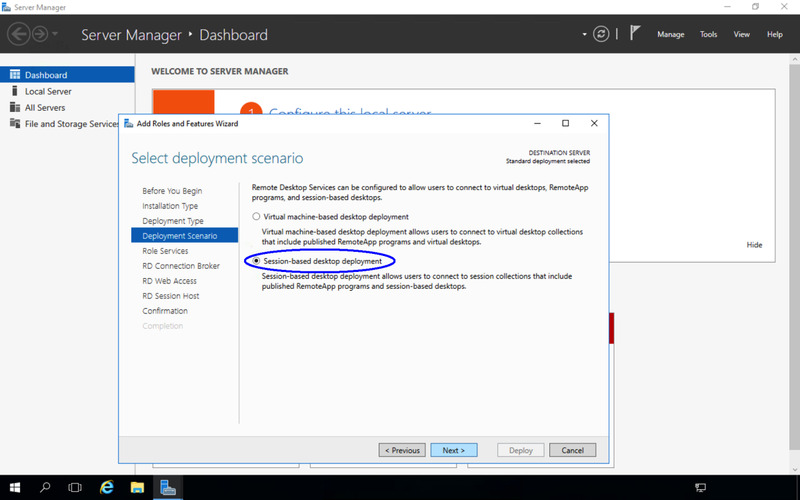 However, this linked article uses the Role-based or feature-based installation option from the Add roles and features wizard to install the role. 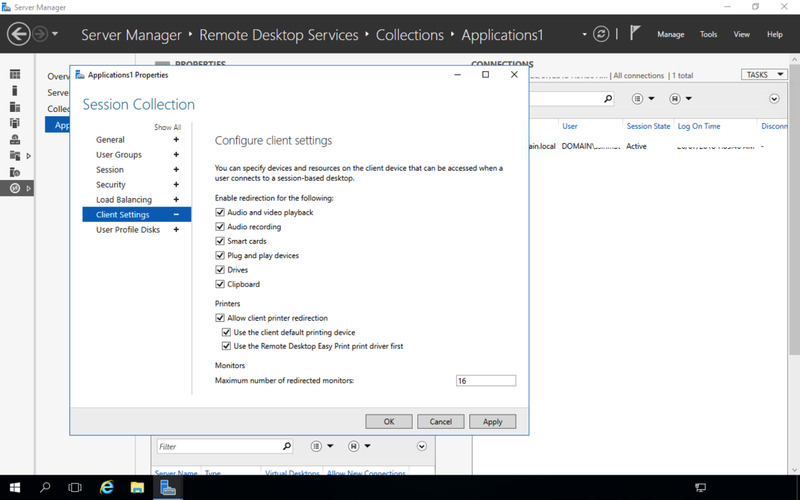 This method still works for Remote Desktop Gateway in Windows 2016. 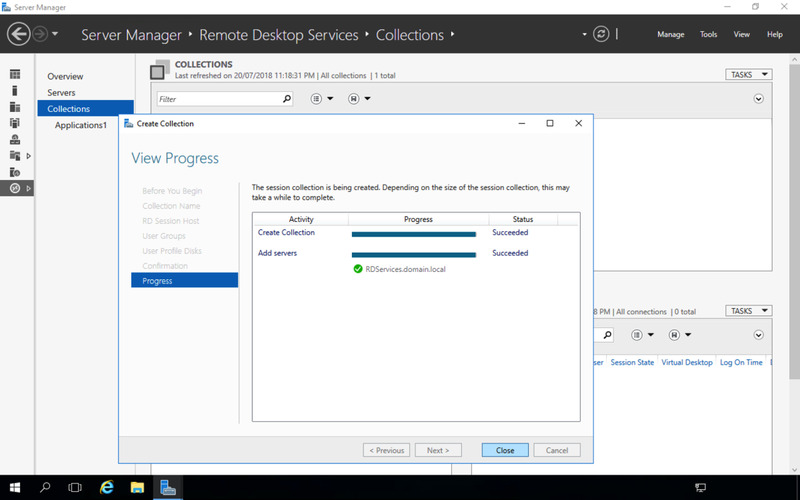 I will create a follow up article on installing Remote Desktop Gateway from the Remote Desktop Services installation wizard. 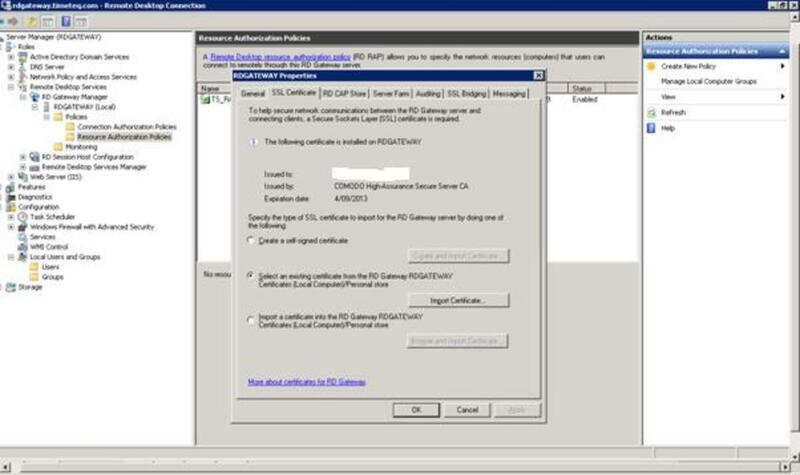 DC - this will be a domain controller and will have the RD Licensing Manager role installed. 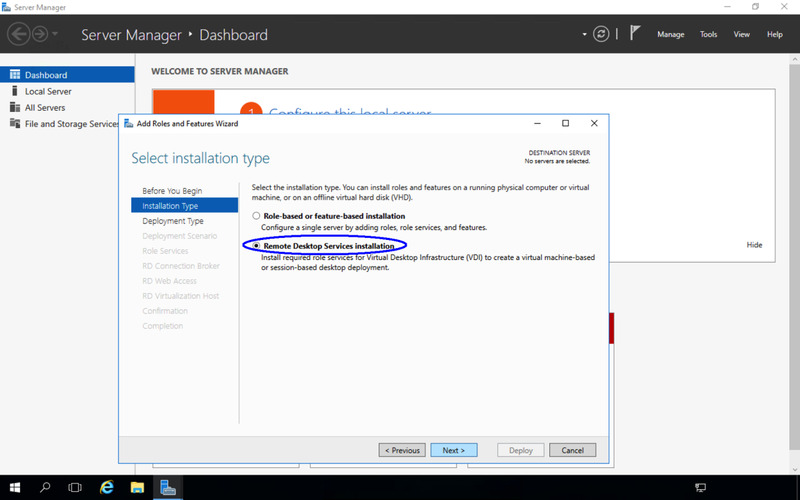 It is not necessary that this role is installed on a domain controller. 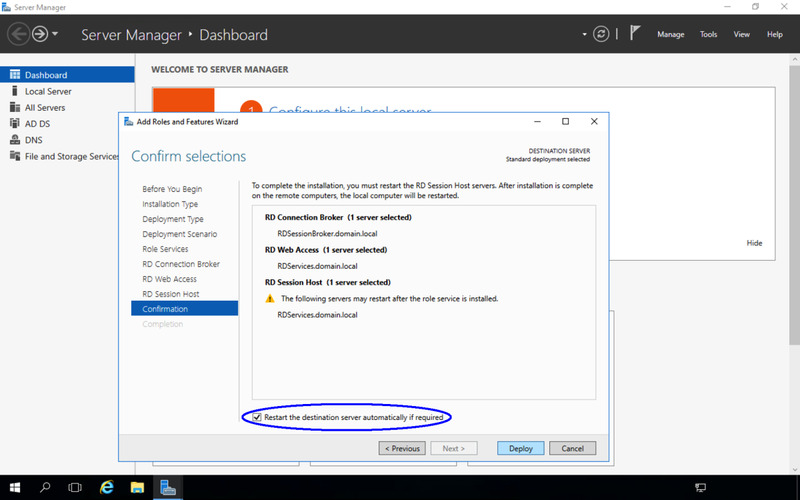 However, it makes sense since the domain controller will still have capacity to perform as a licensing server. 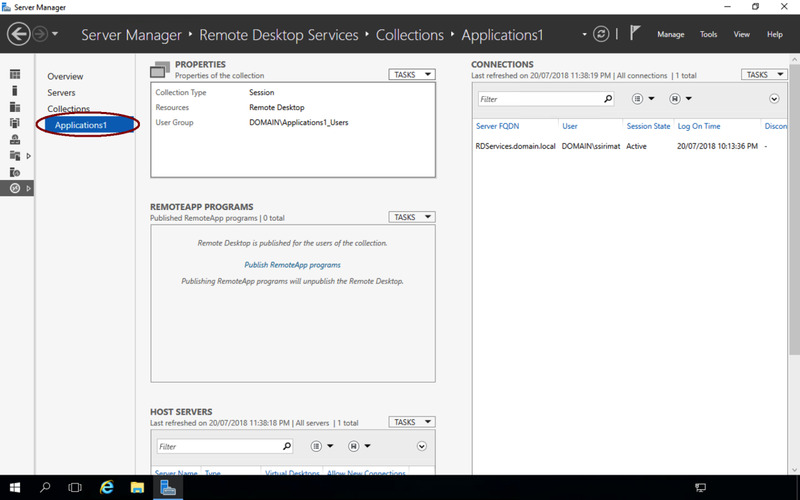 I will remote desktop into the RDServices server to do the Remote Desktop services installation. 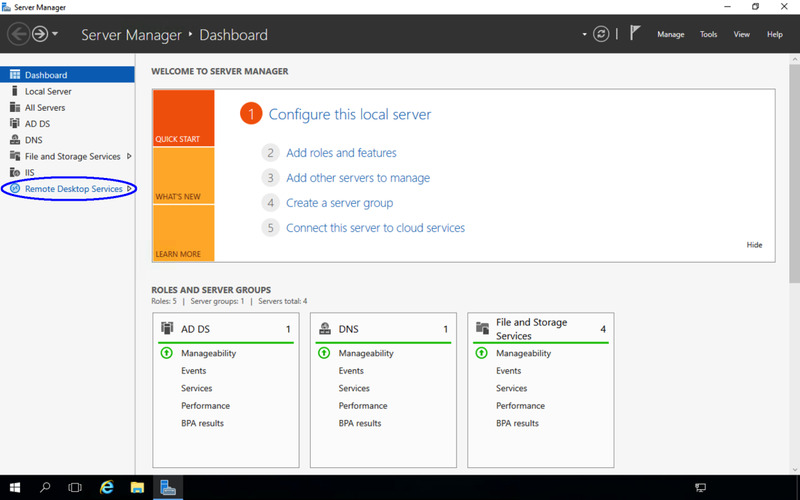 I will then add the other servers as listed above to be managed. Once the three servers are added, click on OK. We are currently running on the RDServices server, so we don't need to add it to it's own list. The following is the most important step. 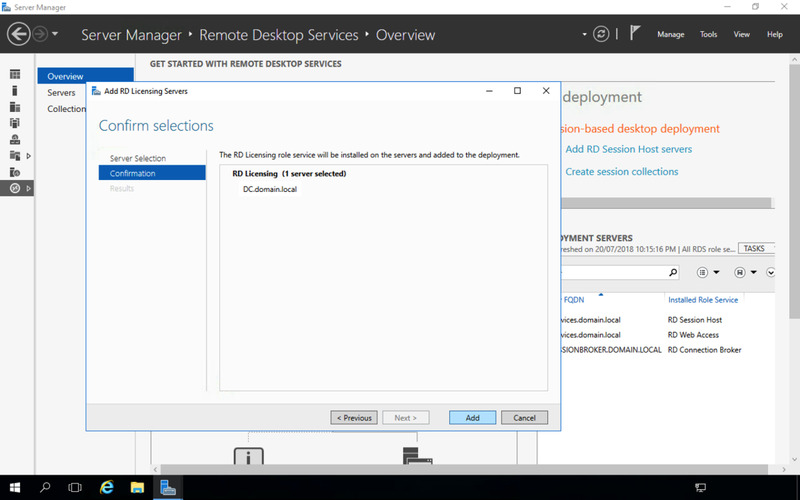 While it’s possible to select the Role-based or feature based installation and then select just individual components of Remote Desktop Services such as Remote Desktop Gateway, if you are going to be setting up a Remote Desktop Services server, you WILL NEED to select the Remote Desktop Services installation option. 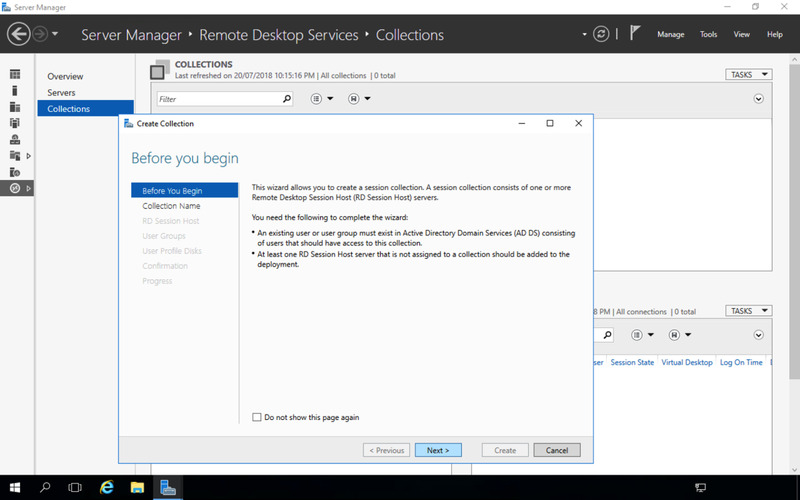 Select Remote Desktop Services Installation, then click Next. We will choose Standard deployment. 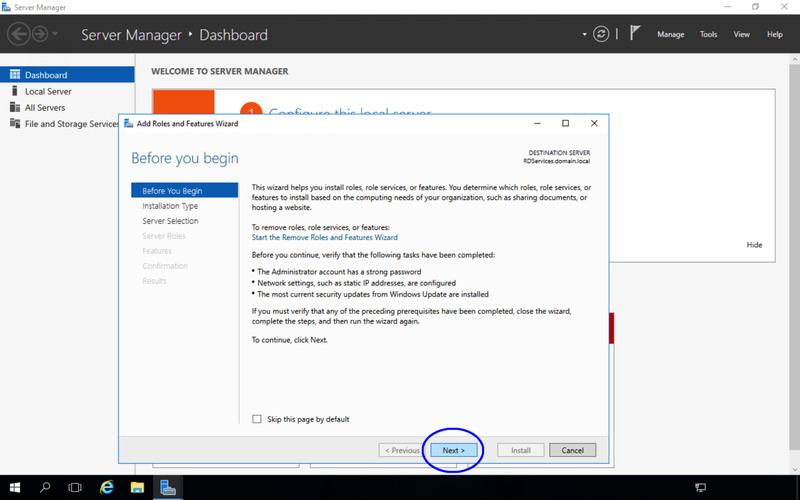 Windows Server 2016 will now ask you to install the roles that you would not normally have installed in Remote Desktop Services for Windows 2008R2. 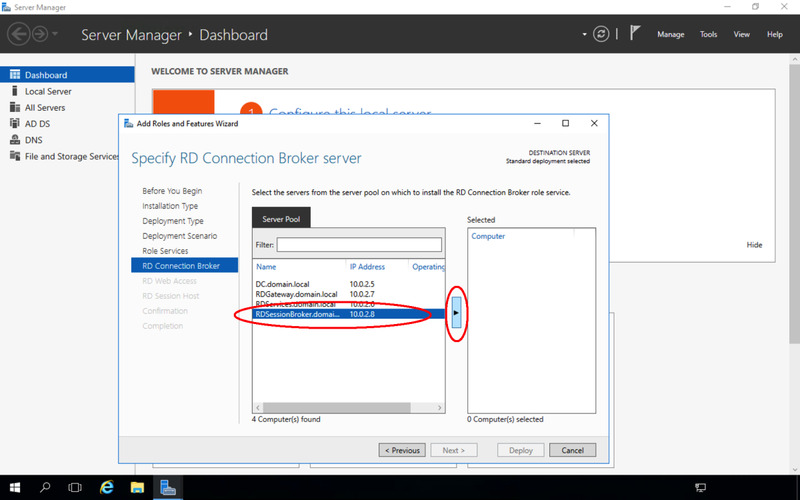 Select the server that will have the Connection Broker role ( RDSessionBroker.domain.local in this tutorial) by highlighting it, and clicking the button with the right arrow icon. 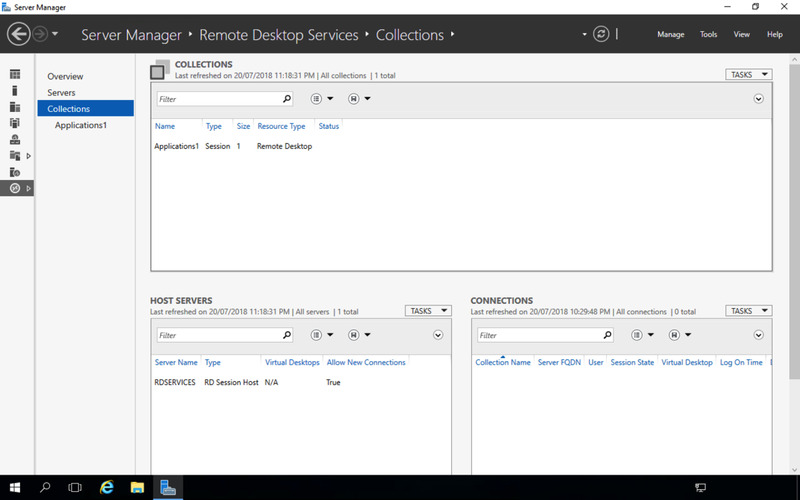 Select the RDServices.domain.local by highlighting it, and clicking the button with the right arrow icon. 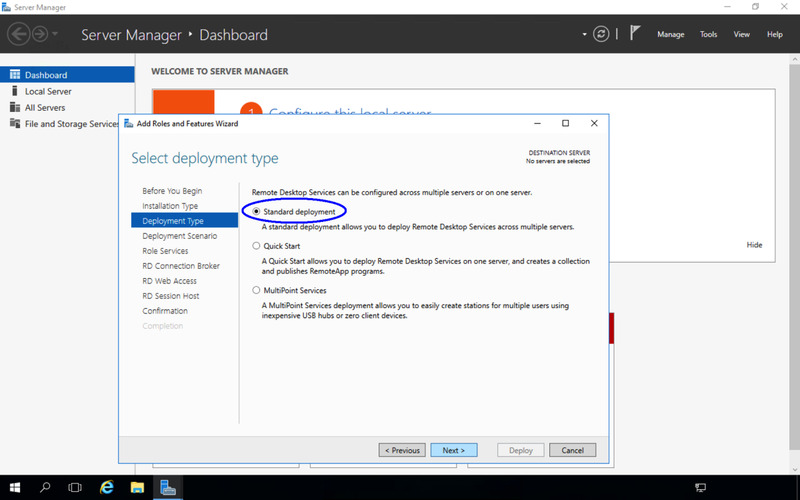 Tick Restart the destination server automatically if required, and click Deploy. 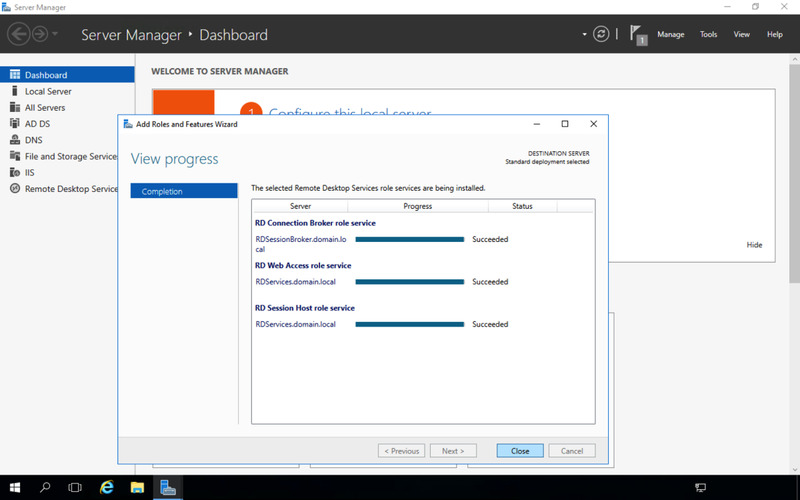 The server will restart upon completion of adding the role services. 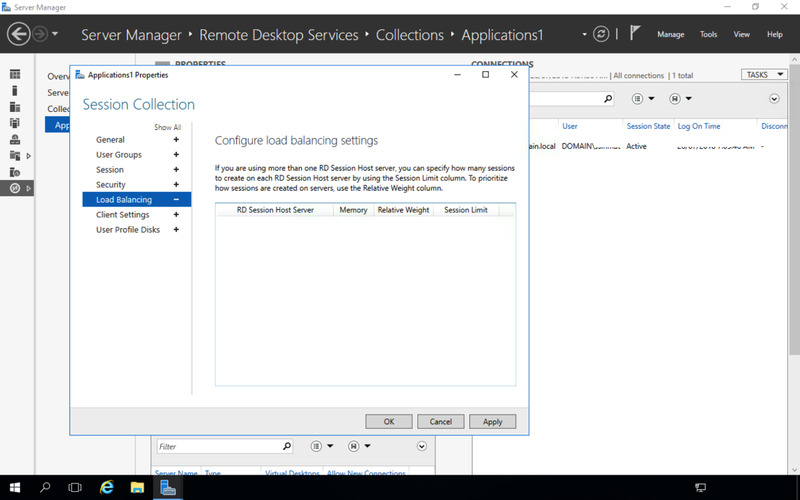 In the left pane, click on Remote Desktop Services. The wizard will display the list of servers we've added to Server Manager. Highlight the server that will have the RD Licensing Manager role (dc.domain.local in our tutorial). Click the right arrow icon to select it. 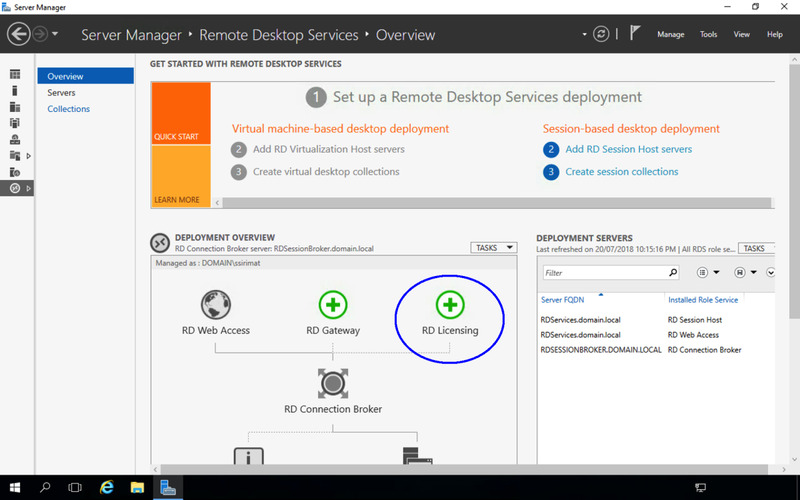 There is a grace period of 120 days to use the Remote Desktop Session Host server as a Remote Desktop Server (aka Terminal Server) without pointing it to an RD Licensing Manager with RD CALs installed. I will create a followup article on how to add RD CALs. We now need to create a session collection. 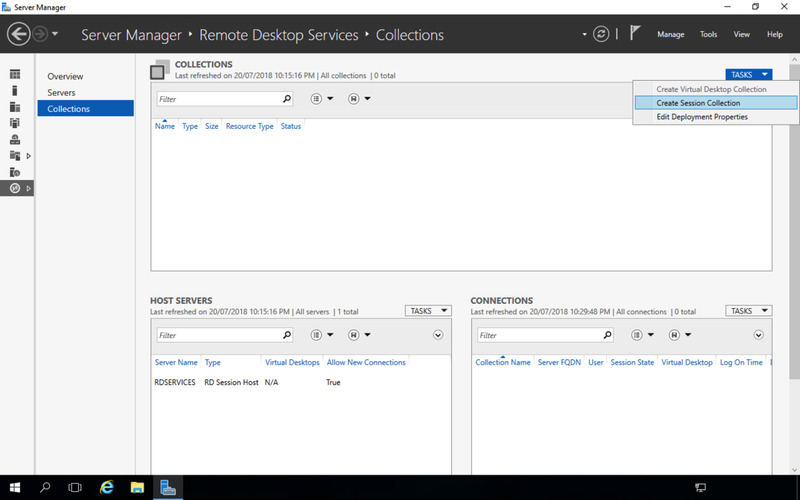 A session collection consists of one or more Remote Desktop Session Host servers. An RD Session Host server cannot be a member of more than one collection. 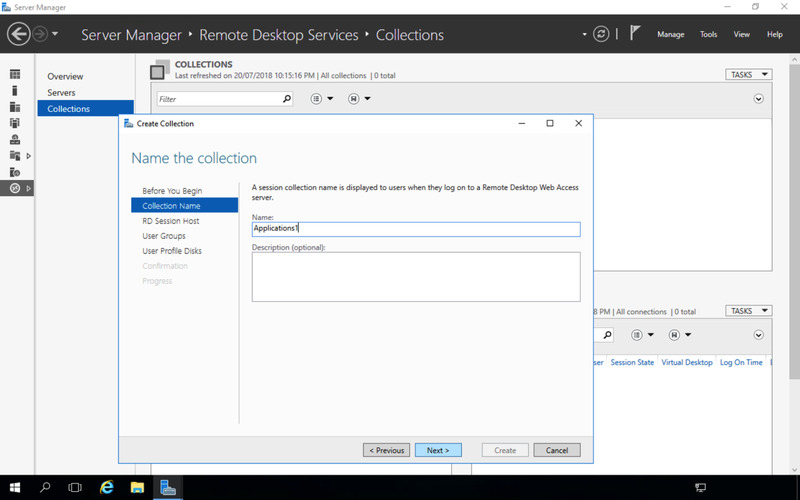 A session collection contains the apps and desktops that you want your users to use. 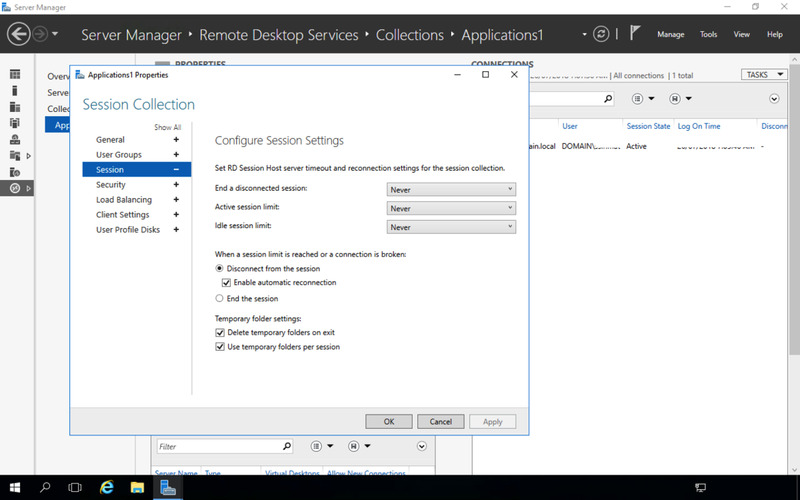 In Windows Server 2008R2, we didn't have to create session collections. From the Tasks dropdown menu, select Create session Collection. Enter a name for the collection, and click Next. 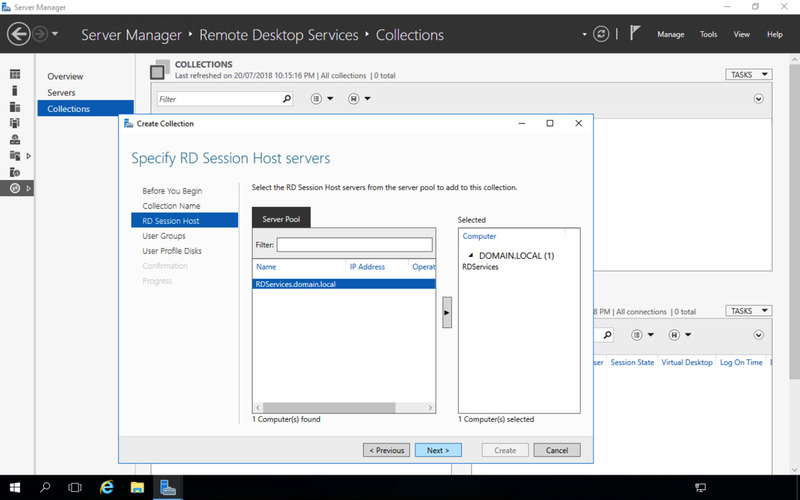 Select RDServices.domain.local for the RD Session Host server to add to the Collection. Click on the button with the right arrow icon. We can enable specific groups of users to be able to access this Collection. Enter the group that is allowed to access this collection. We will remove the Domain Users group because we don't necessarily want everyone on the domain to be able to Remote Desktop into the Remote Desktop server. 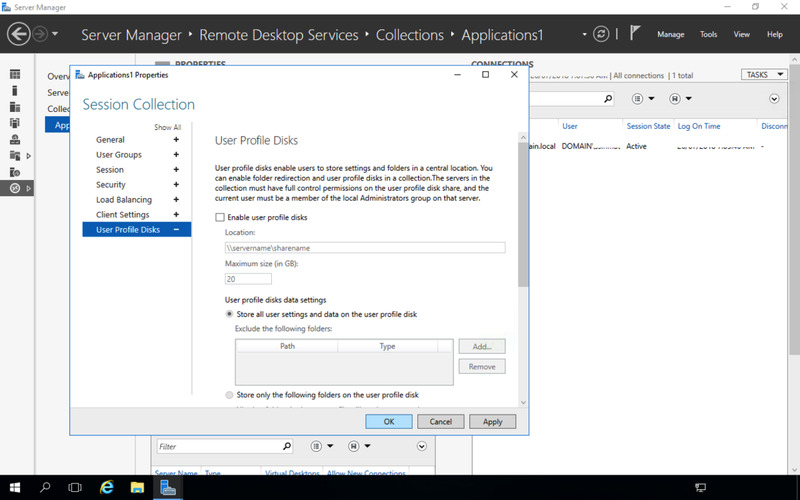 In this tutorial, we won’t allow user profile disks for this collection. 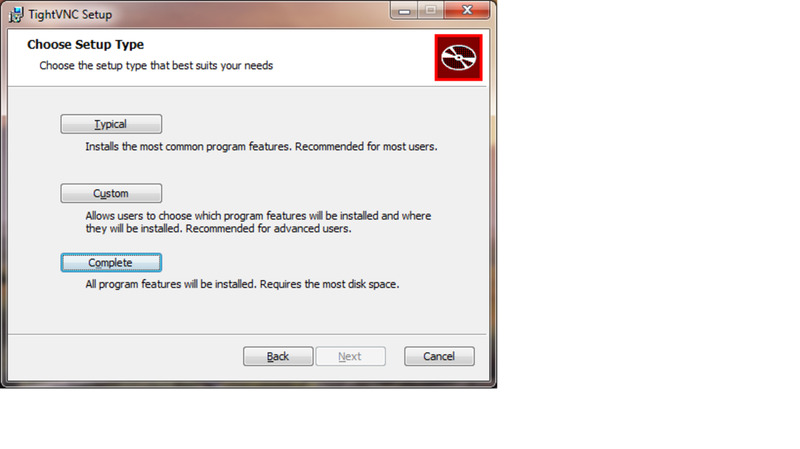 Some applications may require users to have user profiles to store temporary files etc. If so, we will need to enable this option and specify a location to a share that will store the user profiles. We specify a share since the collection can be hosted on multiple RD Session Host servers and we need to be able to access the share from any of the RD Session Host servers. 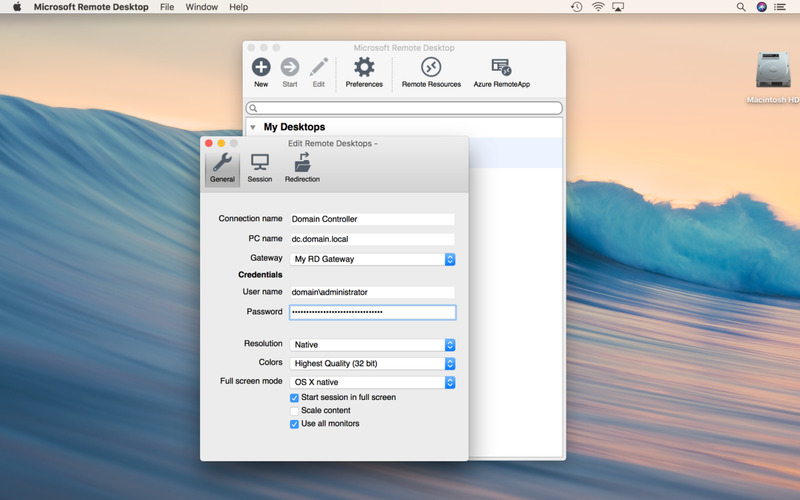 The collection's properties window will appear. Some sections were properties we had already set during the creation of the collection. We can make changes to those settings here. For other sections, we can leave as default or alter the settings to suit. For users who have setup Remote Desktop Services for Windows Server 2008R2 before, the sections here will be familiar as they used to be in the RD Session Host Server's properties. 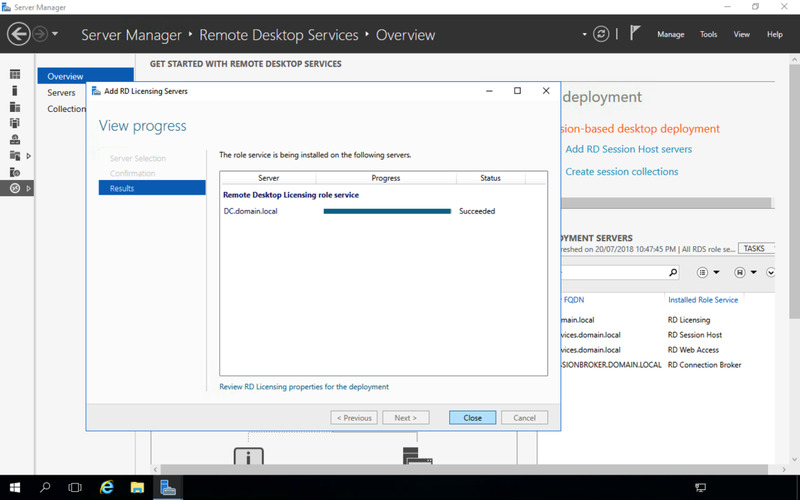 The Remote Desktop Services installation is now complete. Users who are in the group that was allowed access to the collection can now Remote Desktop to the RD Session Host server which was part of the Applications1 collection. In our tutorial, it’s the RDServices.domain.local server. In this setup, TCP Port 3389 must be opened on the firewall for connection to the RD Session Host server. You will need to setup any NAT-ing where appropriate on the firewall. 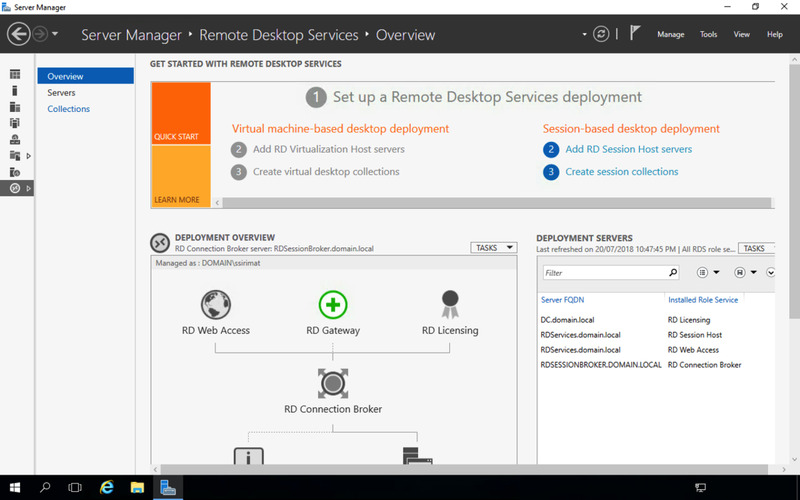 We have now setup Remote Desktop Services for Windows Server 2016. 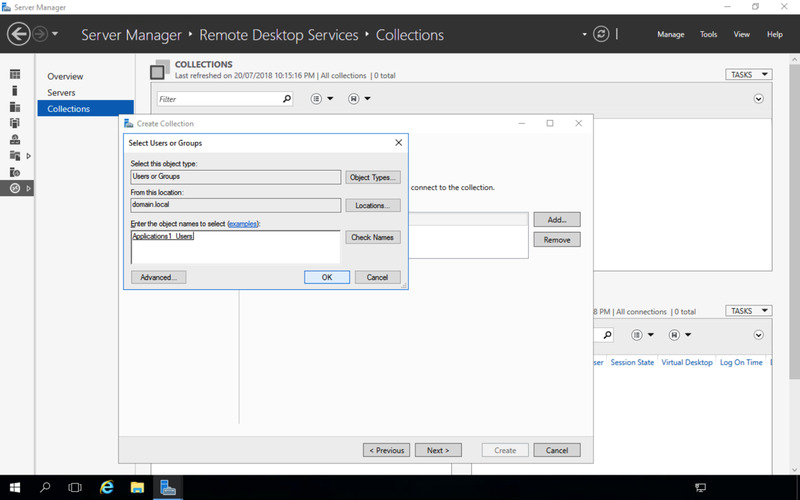 In this type of Remote Desktop Services setup, the clients will Remote Desktop directly to the RD Session Host server that is part of the collection to use the applications that are installed on the RD Session Host server. It is possible to install only the RDGW and RDWEB roles on the external server. 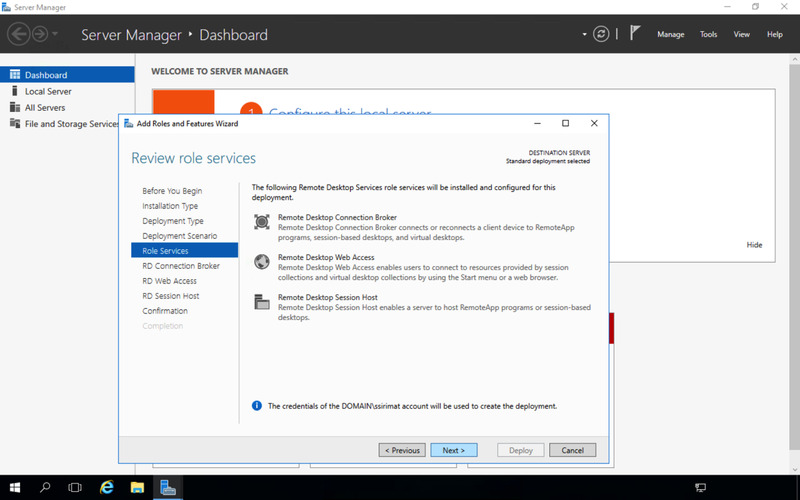 When you use the wizard, you can choose to install those two roles on the external server, and then choose to install the other roles on your internal servers. The RDGW will use the internal DNS server to redirect requests to the internal server. If you want to understand the principle of how to set it up you can read the following articles. 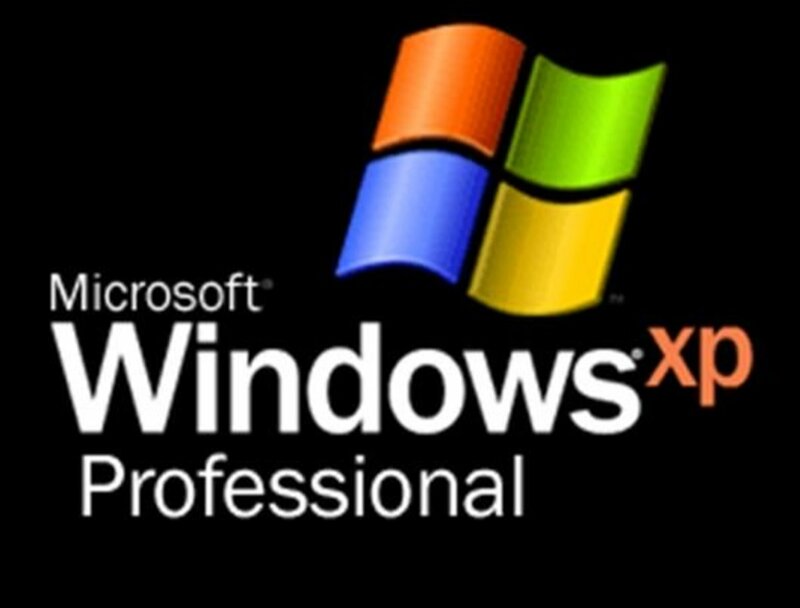 They were setup for Windows 2008R2 but the principle is the same even though the admin tool to do it is different from Windows 2016. When you combine RD Web and RDGW, you can have your external users browse through to the RD Web. Because it is a Web Site, it can go through their proxy server if they use one. You publish your internal applications on RDWEB, and the RDGW will redirect requests to those resources. 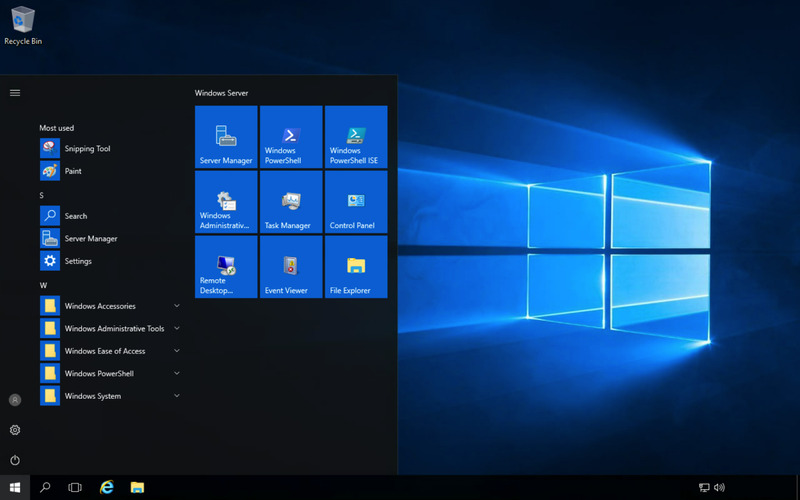 Here's how to configure a remote desktop gateway in Windows 2016. 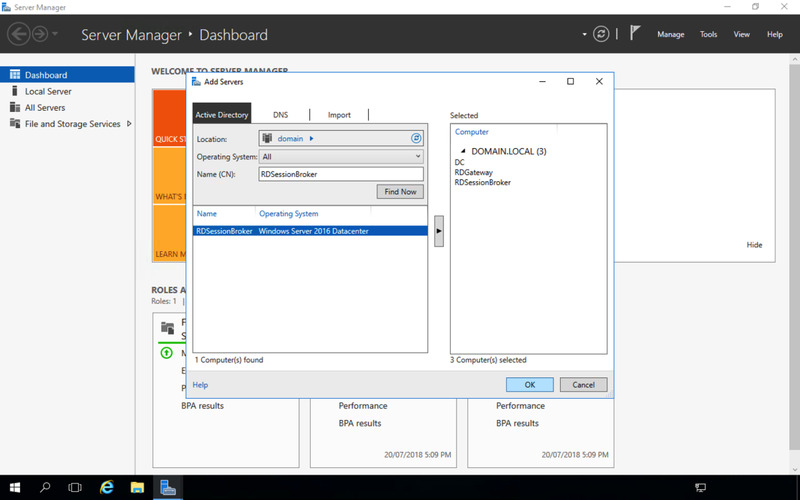 I'm trying a soluzione where in DMZ i'v a RDGW/RDWEB on the same server and on the internal network the RDSH and RDLS. 1- is it possible to install only RDGW and RDWEB roles on the external server? 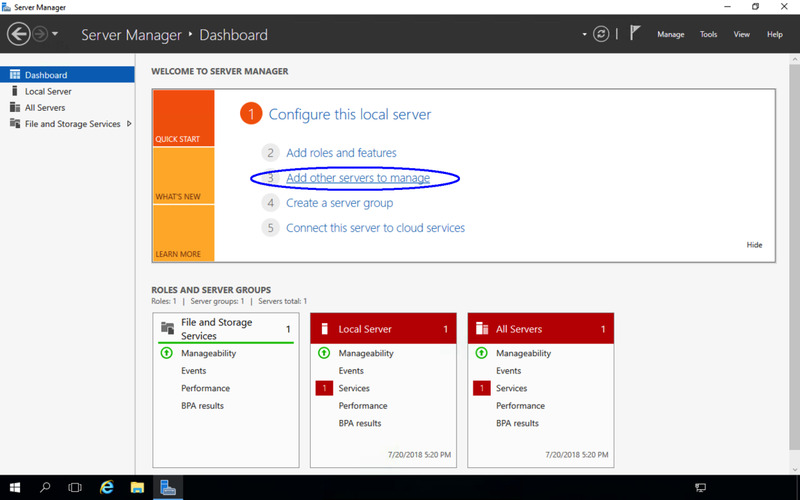 2- How to tell the perimeter server to redirect the requests to the internal server? Thanks for your information. Very impressive and detailed.